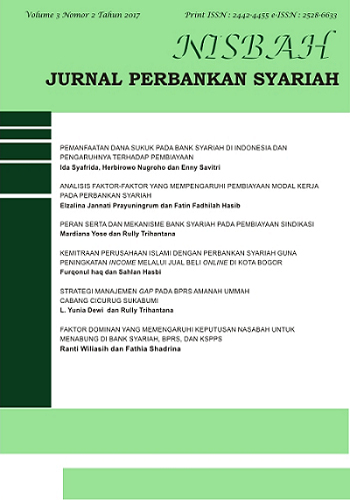 NISBAH: Jurnal Perbankan Syariah is a journal published by the Sharia Banking Study Program. NISBAH is published to support the development of Islamic Banking which will contain articles on Islamic Banking both empirical, theoretical and practical studies. The editor accepts the manuscript with provisions according to the guidelines for the author. The Journal is published twice a year on June and December.